Cardinal Rai wraps historic visit to Saudi Arabia, meets Lebanese P.M.
BEIRUT (CNS) — Lebanese Cardinal Bechara Rai, patriarch of Maronite Catholics, concluded a historic visit to Saudi Arabia Nov. 14, the first such visit of a cardinal or Maronite patriarch to the Muslim kingdom that bans the practice of other religions. The visit came amid turmoil in the Middle East and a new crisis in Lebanon following the surprising resignation of its prime minister, Saad Hariri, announced from Saudi Arabia Nov. 4. The invitation to the Lebanese cardinal from the Saudi king was issued before the prime minister crisis. Cardinal Rai met with Saudi King Salman and Crown Prince Mohammed bin Salman and separately with Hariri, whose resignation raised speculation in Lebanon that he was being held against his will in Riyadh. In his broadcast resignation, Hariri cited the “grip” of the Iran-backed movement Hezbollah on Lebanon, and also said he feared for his life. 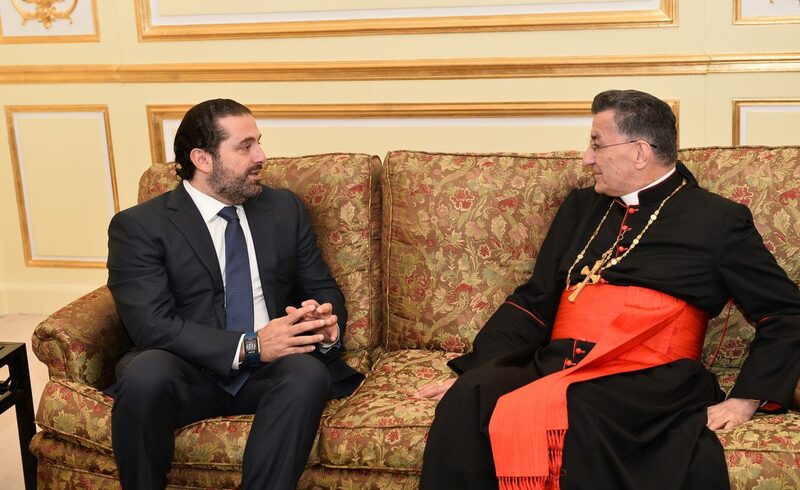 “Hariri is ready to carry on serving this nation,” Cardinal Rai added. On Twitter Nov. 14, Hariri said he is “doing very well” and that he will return to Lebanon within days. Lebanon’s sectarian power-sharing system stipulates that the president be a Maronite Catholic, the prime minister a Sunni Muslim and the speaker a Shiite Muslim. Approximately 40 percent of Lebanon’s existing population of about 4 million are Christian. However, the impact of more than 2 million refugees — mostly Sunni Muslims from Syrian — has affected the sectarian balance.